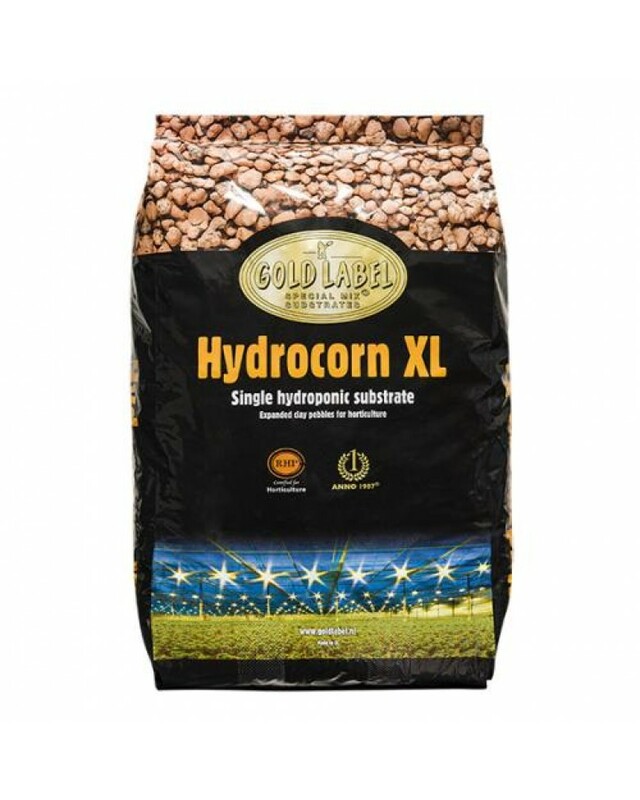 Gold Label Hydrocorn XL expanded clay pebbles are manufactured using a mix of the best quality pure clay and are baked in an open furnace using high grade clean fuels. Gold Label Hydrocorn XL proudly carries the 'RHP certified for horticulture' quality mark. 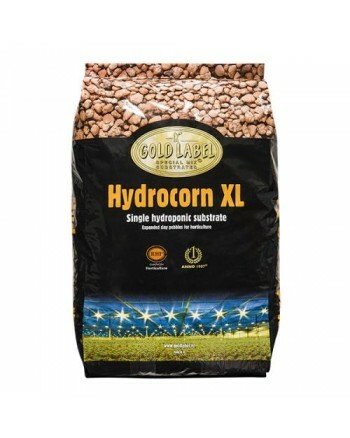 Gold Label Hydrocorn XL is the inert hydroponic substrate of choice for professionals. The 16-25 mm size and the unique, uneven shapes of the pebbles provides better stability than even shaped round pebbles. The porous structure has a high water capacity and is suitable for both ebb/flood and top irrigation systems. Larger size won't slip through basket and liner holes.